Whether you are starting your embroidery business and need guidance on what you'll need, or simply topping up your stock or even looking for new products to try, you can find it all within our online store. Supplying only the best quality embroidery supplies and accessories, we can get you going with Isacord threads, bobbins, backing and toppings and so much more! If you would like to know more about a specific embroidery accessory within our range, don't hesitate to get in touch with us today. Contact us by phone on 0113 242 9378 or by sending an email with your enquiry to enquiries@stocks.co.uk. Alternatively, you can fill out and submit our online contact form. We look forward to hearing from you. Isacord embroidery thread is the world's finest universal embroidery thread. Used for a wide range of applications, Isacord is produced from high sheen, top quality trilobal polyester. This thread combines sheen and softness with high tensile strength and excellent colour fastness. Nearly twice the strength of rayon thread, Isacord is the smoothest running and most reliable thread produced. With an impressive colour range of 315 shades available in 1000 metre and 5000 metre king spools, together with the metallic and variegated threads. Using the right backing makes the world of difference to your embroidery. Choose from cutaway or tearaway rolls available in white and black, or opt for the pre-cut squares to save you time with your smaller designs. Water soluble toppings are also handy for fleece and towel-like materials where the fabric may peek through the stitches. As leading suppliers for both Groz Beckert and Schmetz needles, we stock various embroidery needles for your machine. Keep your machine in top condition with various oil and lubricants in handy aerosol cans. To buy curved or not to buy curved? Choose from our Mundial embroidery scissors to keep your thread cuts smooth and prevent fraying. Load your machine faster with our pre-wound bobbins, or choose our Gutterman Mara to wind your own. HoopMaster Magnetic Mighty Hoop® products make hooping your garments a breeze. Equipped with seriously strong magnets, there isn't much that you can't hoop with the Mighty Hoop® frames. Choose from various frames and accessories to get you embroidering anything you could imagine. Also, see the Brother spares we recommend to keep in stock, you know, just incase. 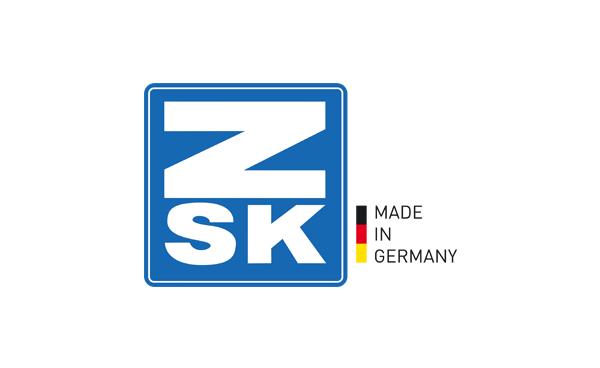 Keep your embroidery possibilities endless with genuine ZSK frames and accessories, specifically designed and created to stand the test of time alongside your ZSK machine. Not only suppliers for embroidery, we have your sewing requirements in stock too! Upgrade your lighting to a new Boshite LED flexible sewing lamp. Position your lighting exactly where it is needed.